Transparent skies, subtle shades of green in the fields and forests, glittering white, snow-capped Alpine peaks ... the countryside around ITER was at its best on Wednesday 30 April when these pictures were shot from a helicopter. 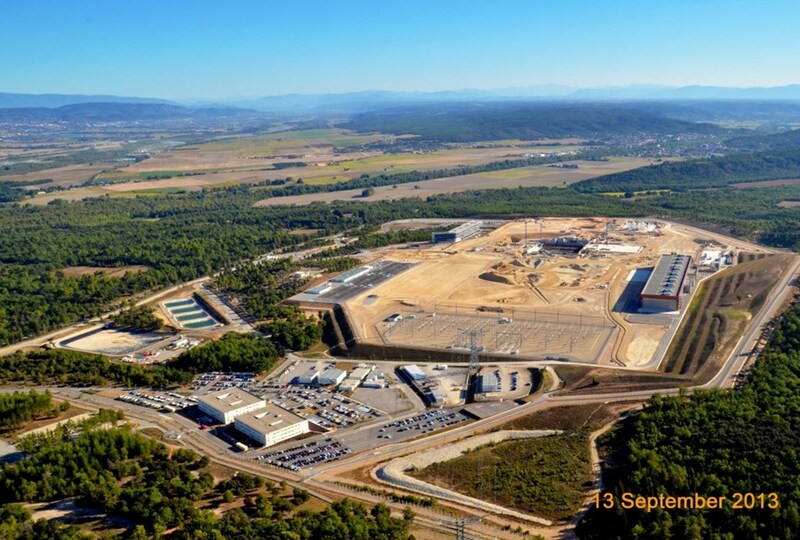 Looking north, this view takes in the whole of the ITER site (with the exception of the spoil disposal area to the east of the platform). Comparing it to the images from the previous aerial survey in September 2013, also by helicopter, we can easily play the "spot-the-differences game." There's obviously a new and distinctive feature on the ITER site: standing close the Poloidal Field Coils Winding Facility, the Cryostat Workshop, of which only the concrete slab was visible in September 2013, is now standing tall—taller, in fact, than its immediate neighbour. Less spectacular, the 3,500-square-metre Headquarters Building extension on the opposite site of the platform, has now reached the 4th level of the original building. It should be completed and delivered in July. 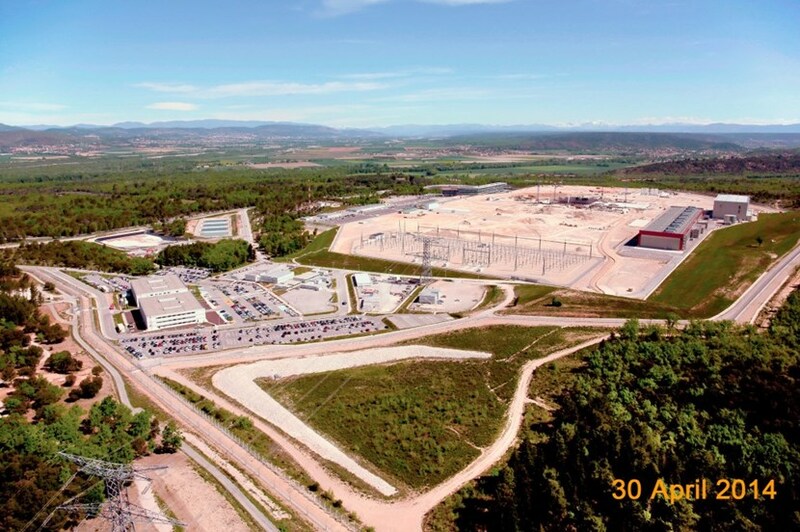 Barely discernible behind the ITER Headquarters, the vacant plot of land between the entrance road and the visitors' parking lot has been transformed into a 6,000-square-metre storage area for ITER components before they are assembled in the machine. As for progress in the Tokamak Pit itself, although it is not visible in this new aerial view it has been considerable: in less than eight months, concrete was poured on the Diagnostics Building side of the slab and for approximately one-third of the Tritium Building. In September 2013, only one level of rebar covered the central area of the Tokamak Pit. Now, with the exception of a small circular surface at the very centre, the steel reinforcement is 16 layers thick.